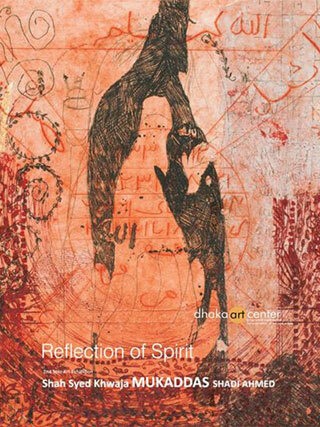 Dhaka Art Center is delighted to announce opening ceremony of Syed Khwaja Mukaddas Shadi Ahmed’s 2nd Solo Art Exhibition `Reflection of Spirit’ Opening on, 7th November 2014, 5.30 pm. The exhibition will continue from 7th November to 13th November 2014. Everyday 3.00 pm to 8.00 pm. Prof. Syed Abul Barq Alvi, Dean, Faculty of Fine Arts, University of Dhaka , Arc. Rabiul Hossain, Art Critic and Poet, Prof. Rokeya Sultana, Dept. of PrintMaking, FFA,University of Dhaka, Salauddin Ahmed, Architect & Connoisseur-were present as special guests.